I've been taking a bit of a break from my canon lately, but I did bring it with me to the park this week. 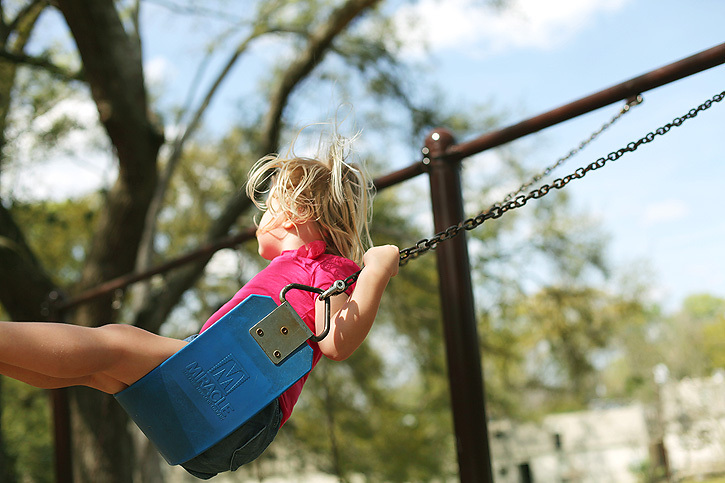 I took some pictures of my three year old niece swinging. I'm sure you know it's not the easiest thing to photograph. I was trying to find an angle with the best background, and trying to get her in focus while still blurring the background as much as possible. I shot in aperture priority mode with my 50mm lens set at f/2.8, iso 100 and ss 1/1600. I used the ai servo focus mode (continuous servo on nikon) which is great for moving subjects because it continually tracks the focus as your subject moves. My all time favorite swinging shot was of her brother when he was three. I love that happy face even if it is kinda blurry since the focus fell on the crocs. This one was taken back when I still had my pentax with my 50mm at f/2.0, iso 200 and ss 1/200. And it was during the time of day when the light is the prettiest just a little before sunset as opposed to the middle of the day like the one above. 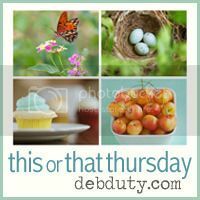 It's time, once again, to link up your photos with this or that thursday. There are just a few rules. I adore that 2nd shot, Deb. I can feel his joy! Great shots Deb, I remember that croc shot. Love it. I think they are both wonderful Deb - I am in the minority so far - I love that first shot! 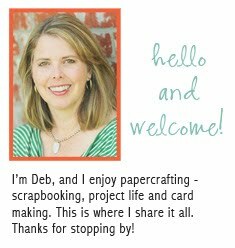 Hello Deb, You set yourself quite a task there. Amazing how clear the top image is. Especially when the background is so much lighter than the foreground. Is your present ISO set on auto? I can easily see why you love that second shot! The expression on his face is sheer joy! And I'm a sucker for all that bokeh too. These are great! Love the focus on the crocs and the slightly blurry face - amazing! I know what you mean with the big camera, the iphone is so convenient! I used my nikon last night and it felt like returning to an old friend! Oh, I love them!! Awesome shots. Hi Deb! I love that second shot and your new background! Great shots I love that last shot! What gorgeous and happy photos, filled with sunshine! Beautiful. These are gorgeous! I really like the way the focus is on the crocs in the second one but you can see that joyful face ;) Great pics!! great shots capturing youth and glee! nice, deb! Those are beautiful pictures! I love the joy expressed on his face in that second photo. And I love how bright and vivid the colors are in the first one! Such happy pictures - I remember those days when I took the girls to the swing park. 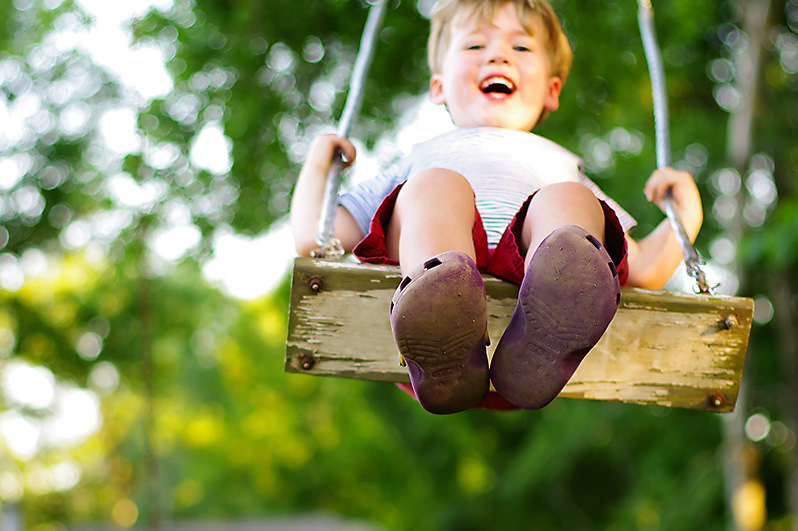 You can't beat the sound of them laughing on the swings. Awww, these are both great, but I do really love that last one! Fun! That second shot is fab! Thanks for the quick tutorial on how to get a swinging shot. I need to try this! And that one of your nephew is SO wonderful, and I like the focus on the crocs and his amazing smile! Beautiful......I used to love swinging as high as possible and keeping my eyes closed and feeling the breeze. I love that last shot. Both shots are just splendid! I can see why the 2nd is your fav, LOVE it! Thank you for adding your settings Deb. Just learning, w/ my Canon right now, & that helps SO much. Happy Thursday mama! Deb, these are great. I really need to get out of Auto more. That's gonna be my mission for this week. You've inspired me. Gorgeous shots! Some day I'll understand all the F-stop, ISO stuff. I've got so much to learn! I love how it focused on his crocs! Swing shots are tricky, and yours turned out great! I used to have a Pentax too--way back in the day before digital! It was my first SLR camera. These are both great, love how they capture the carefree nature of children and childhood - well done! What a great shot!! You'll have to talk to me about the way you took that one. I absolutely loved these photos. I cannot wait until we get some truly warm weather so I can try and catch my 3 grandsons on the swings. Love it! probably BECAUSE of the focus. Beautiful and impressive shots! Thank you for sharing and for hosting this link up. What a fantastic shot Deb! I like the one of her brother, too. You really do such a great job shooting kids. I love these photos with excellent framing, beautiful colors and masterful approach. Oh man, I loooooove the bokeh in that second shot! And I actually love that the focus is on the crocs instead of his face. :) Super super cute shot. I feel like you captured childhood at it's best!